So today we did our first imperial russian stout all grain. We both love our high viscous type stouts so we decided to pull out all the stops using no less than 12 differents malts and a healthy portion of porridge oats to give it immense body. We were aiming for a specific gravity of around 1.100 which we hoped would give us an abv of around 10%. However due to me not adjusting the efficency percentage on Beersmith we hit 1.084. Which isnt too bad and should give us something around 8.5%, which is fine by me. We didn’t actually have a name for this beer until I realised that the brewday was actually on St Valentines day. Realising this beers proposed indulgent characterists we thought the name ‘Cupid Imperial Stout’ was a very fitting name and so that is what we called it. 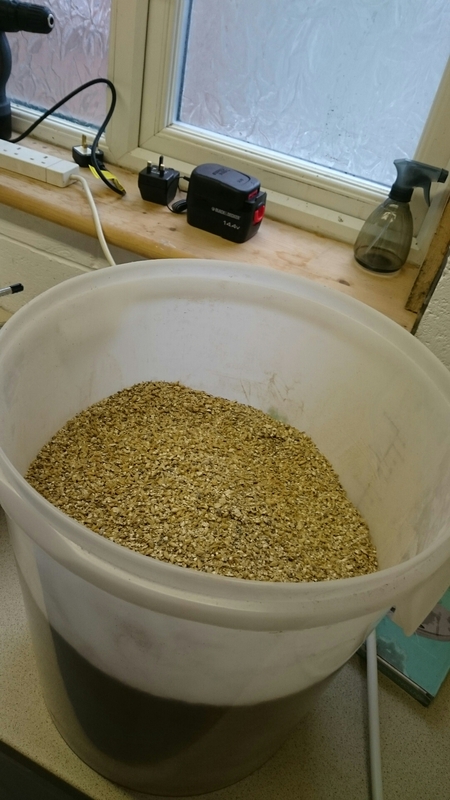 The brew was a 20litre batch and consisted of over 9kg of malts. We used a combination of columbus and cascade hops to bitter the beer. Which we hope will add a subtle citrus piney character and balance the massive amount of sweetness that will be present from the malt bill. After mashing, the first runnings were a sight to behold. 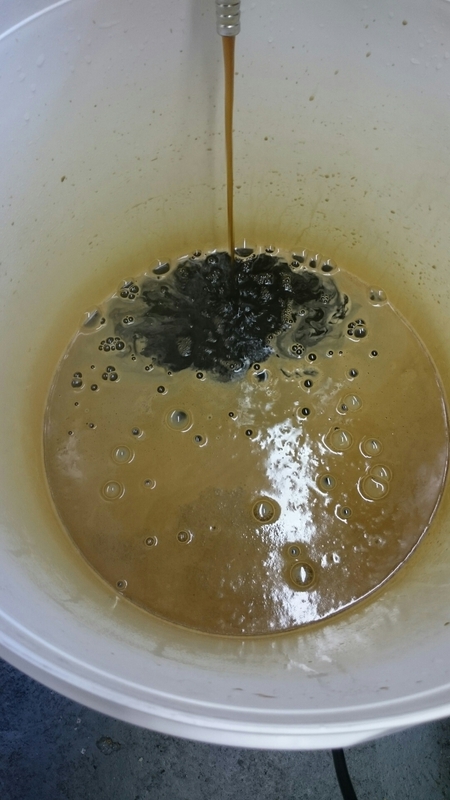 Thick viscous jet black wort, wreeking of sweet roasty aromas. After boiling for 75 minutes we cooled her down for the yeasties to be pitched and tucked her up for a three week fermentation to turn into delicious rich stout. After three weeks we will transfer the stout into a secondary fermenter and add a healthy portion of cacao nibs and fresh vanilla which will have been pre soaked in boubon. We’ll let that sit and infuse its deliciousness for two weeks before bottling and then hiding away in a dark place for a few months to mature. It certainly sounds rather special to me. I hope it turns out as good as it sounds. Time will tell. Though I can’t disclose it for top secret purposes. We do plan on going ‘pro’ at some stage in the not too distant future. Next up. A huge hop bomb of an IPA. Four Seas will be brewed up in the next couple of weeks. A massive hop bomb of four of the finest American hops on a delicious golden toffee malt base.